Gig Michaels of Swamp da Wamp died a few hours before birthday. So many folks are asking what happened? Gig Michaels, the larger than life lead singer of the southern country rock blues band Swamp da Wamp passed away last at 8:03 p.m., on January 3, 2016 just hours before his 52nd birthday. Many fans and followers are wondering what happened to their beloved larger than life performer and hopefully this will help explain it. Michaels had been treated for Bronchitis since October, 2015. In mid December he took a fall that injured his knee which made him sedentary. During that time it is believed that he also caught the flu. All of these events combined to cause the perfect storm and right before Christmas, Michaels was admitted into the hospital for treatment for pneumonia. On the 2nd day into his hospital stay he was admitted into the ICU for respiratory distress from the pneumonia and later diagnosed with advanced COPD. After fighting for 12 days in ICU, and fight he did, his body was just too weak to go on. As many of you know, Swamp da Wamp has fan clubs all over the world in countries such as the Netherlands, Italy, Russia, Brazil, Sweden, India, France and the UK which is a testament to their burgeoning international popularity. 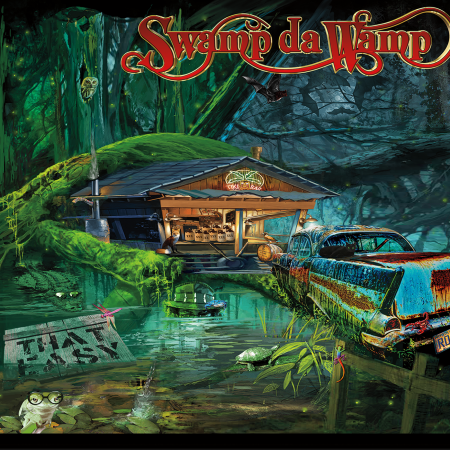 Swamp da Wamp music can be heard on over 65,000 Touch Tunes jukeboxes across the U.S. Several songs have been licensed for use in video games by the gaming giant Xbox. You also know that the remaining Swamp da Wamp members are passionate about our nation’s Veterans and they’re ardent supporters of Native American Heritage Association (NAHA). They are honored to have performed on all three of NAHA’s famous “Rock Legends” cruises alongside legendary acts such as ZZ Top, Foreigner, Alice Cooper, Molly Hatchet, Marshall Tucker Band, Pat Travers Band, Artimus Pyle Band and the The New Lords. The band is committed to promoting the anti-bullying movement, working closely with international organization Stopbully.com. Just recently Stopbully.com has adopted Swamp’s “I Am” as their anthem. The members of the band are currently grieving the loss of their leader and need a little time to themselves to heal and regain their footing. To find out more and keep updated, you can visit the website and like them on Facebook. Michaels is survived by his brothers, sisters, mother, father and son. The spokesperson for the family (Lori – Gig’s sister) has determined that Gig will be cremated with a memorial in the warmer weather being considered. Friends and fans should continue to follow his Facebook pages for more information on that and more news in days to come. The band Swamp da Wamp is the brainchild of frontman, lead singer and main songwriter Gig Michaels. He founded the seven-member band in 2006. He’s almost as well-known for his remarkable stage presence as he is for his unabashedly deep, gritty vocals. A natural showman, in his boots and signature leather hat the six foot-five Michaels’ commands (and gets) the undivided attention of every audience he’s in front of. Swamp clearly appeals to a broad demographic: they’re part rock and part country – with a dash of the blues. 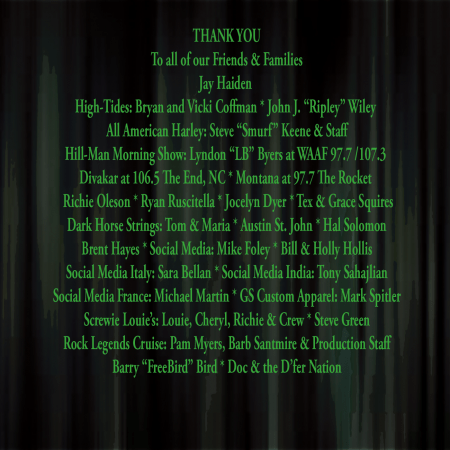 They’re shared billing with rock legends like Alice Cooper, ZZ Top, Lynyrd Skynyrd, .38 Special, Foreigner, Paul Rogers, Blue Oyster Cult, Shooter Jennings, The Outlaws, and The Marshall Tucker Band and country greats such Craig Morgan, Toby Keith, Craig Wayne Boyd and countless others. 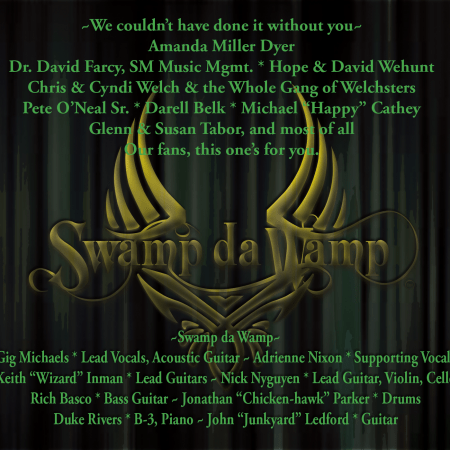 Swamp da Wamp has released four well-received albums containing all-original material. Their fifth album is a compilation of fan favorites. They’ve also released several singles. “Miss Becky,” a song off of their first self-titled album SwampDaWamp, spent 10 weeks on XM Country charts, entering at #16 and reaching #4. 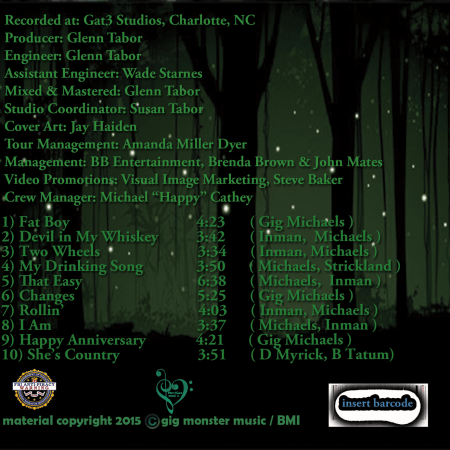 The 2011 release Short Stories from a Long Road features musicians from legendary bands such as Lynyrd Skynyrd and The Black Crowes. Swamp has performed on five music-themed cruises, including all three of the world famous Rock Legends Cruises. They’ve won the prestigious title “Best Rock Band 2013” at the famed Carolina Music Awards.Their newest single, “My Drinking Song,” and other selections from their catalogue are currently getting play on local and internet radio stations across the U.S., Europe and Australia. The video for “My Drinking Song” is now being shown on Music Mix USA, a Florida based video show seen on Broadcast TV from Miami to Los Angeles. Music Mix USA is seen weekly in 126 million plus households in over 150 Markets on CBS, NBC, Fox, AMG, TUFFTV, AMGTV and MyFamilyTV affiliates around the USA.Swamp da Wamp’s current music catalogue can now be heard on over 65,000 Touch Tunes jukeboxes across the U.S. Several songs have been licensed for use in video games by the gaming giant Xbox.